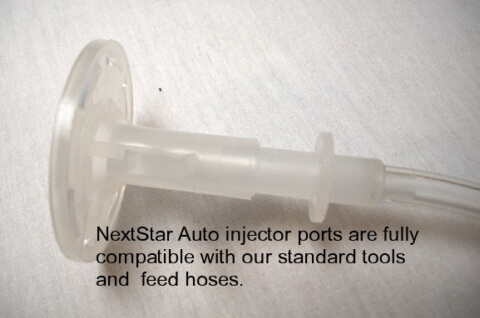 The NextStar Auto Injector series of products allow for low pressure injection between 24 to 40 psi without any specialized manual or pneumatic tools at a low cost but with the same professional results. These kits are perfect for the home owners and professionals alike that only do occasional or one time repairs. Perfect for the DoIt Your Self project. No Digging required all injection is from the inside! 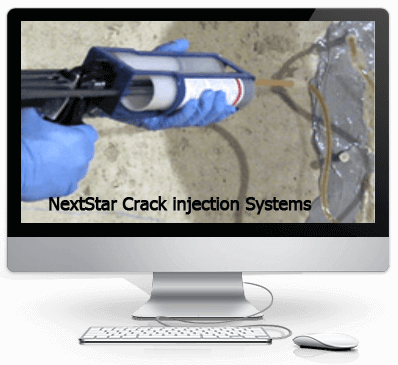 This Epoxy is slow curing and super thin to allow penetration of cracks that may not even be visible.The auto injectors allow for constant injection pressure over a 24hr time frame to penetrate the smallest of cracks. No special tools required. Does NextStar provide help if I have a problem? 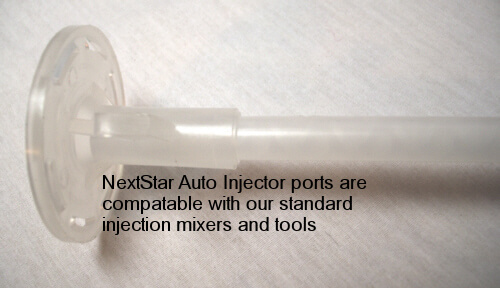 Q What is different about auto injector kits? A The auto injector kit series of easy to use kits that give professional results. 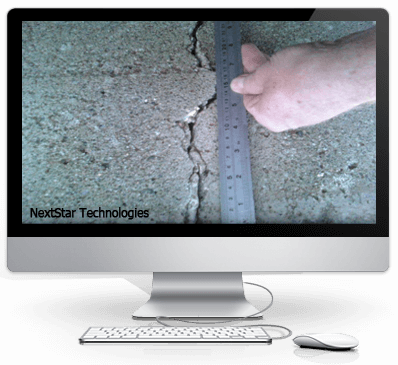 Using NextStar’s unique auto injector allows products to be injected under low pressure into concrete foundations without specialty injection tools and costly equipment. cracks from 1/32 – 3/8 inch wide .Type 2 for leaking cracks from 1/64 to 1/32 inch. 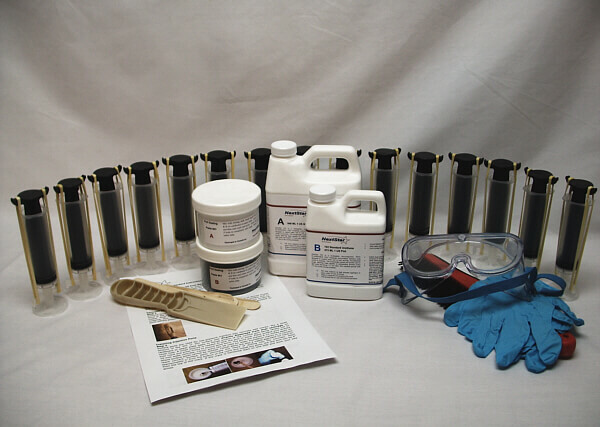 Type 3 (this kit) is our Ultra Low Viscosity Epoxy kit that penetrates the smallest possible concrete cracks that could not be injected with polyurethane even under high pressure. 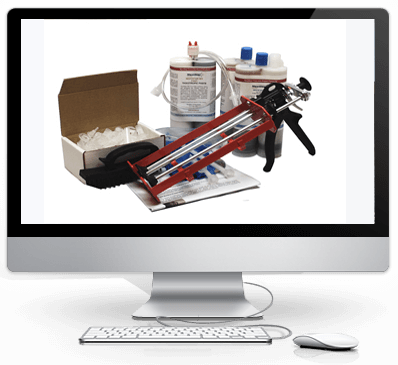 These kits supply everything that is needed to complete each type of foundation crack repair problem.If you plan to do ongoing repairs using different products the semi pro or contractor kits would be best. Q Why inject Ultra Low Viscosity Epoxy? A This Epoxy is perfect for injecting into foundation cracks that may or not be leaking but too small to inject polyurethane. This Ultra Low Viscosity Epoxy is can flow for up to 12 hrs and when used with auto injectors the low pressure can be applied automatically over extended time without human help. 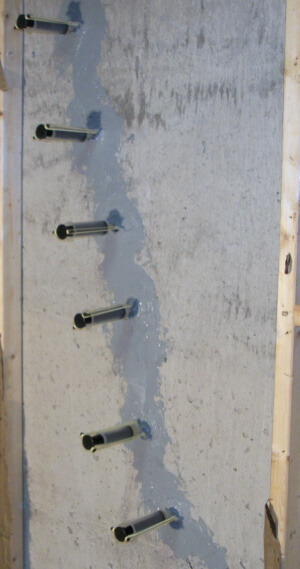 Epoxy provides a structural repair. A 8 ft of foundation cracks should take with ULV Epoxy is 4 hrs or less even for a novice. The epoxy will contine to flow for upto 12 hrs with a cure time of 72 hrs. 2. 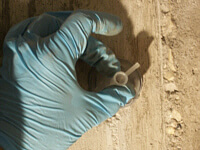 Using the epoxy paste provided install injection ports to the wall. 4. The Ultra Low Viscosity Epoxy is mixed in a container and injected starting at the lowest port using the auto injectors. 5. The product will flow from the lowest port to the next port up the wall and at this point install the next auto injector when product reaches the next port. Follow this process until the last port is injected.